This is our largest suite. It has the space to sleep 3 adults with 1 queen bed and the option for a twin sized futon to be set up (please let us know ahead of time if you need the extra bed!). 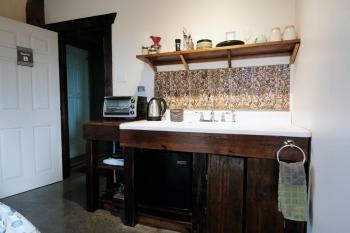 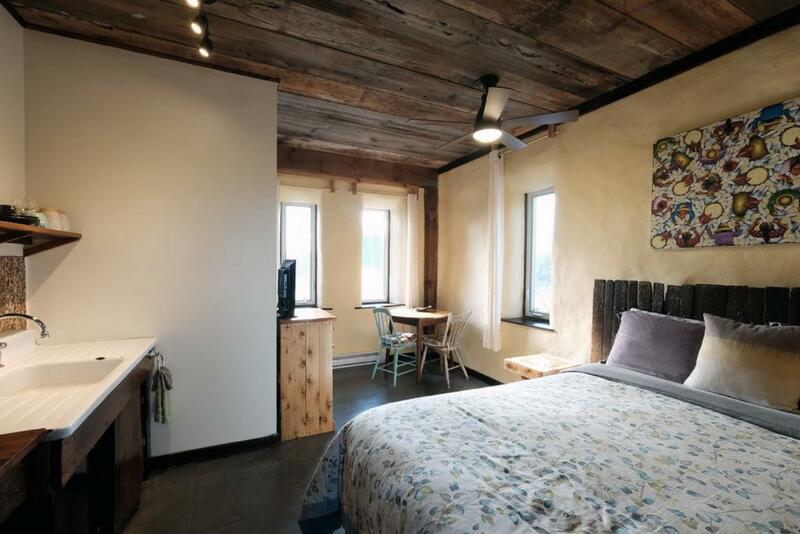 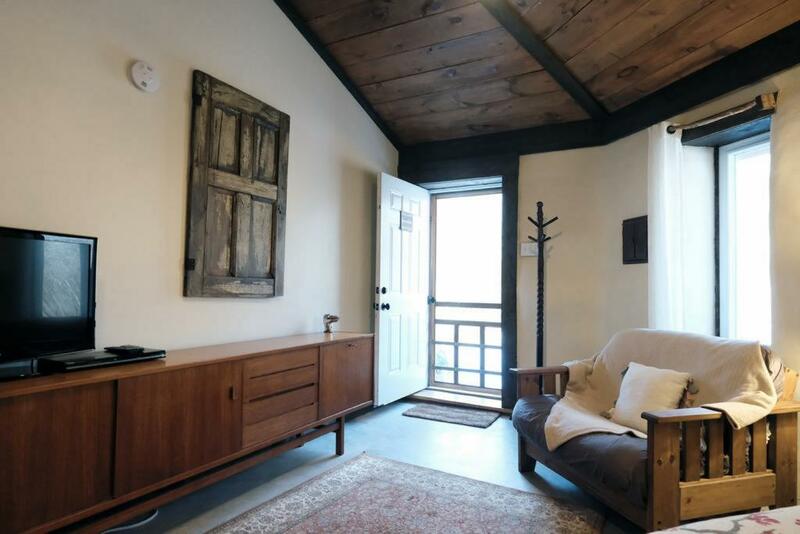 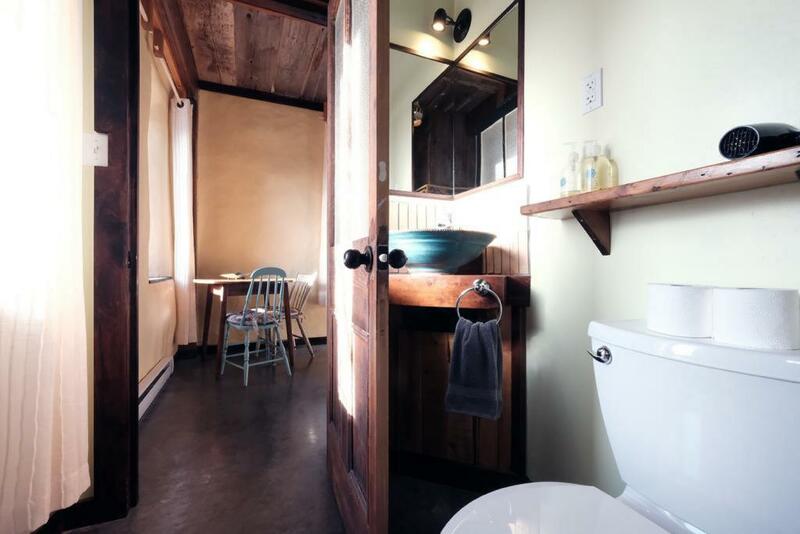 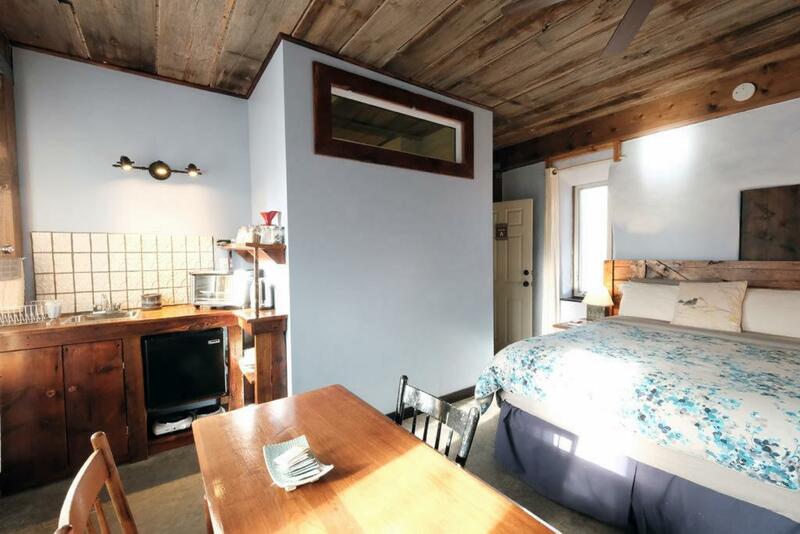 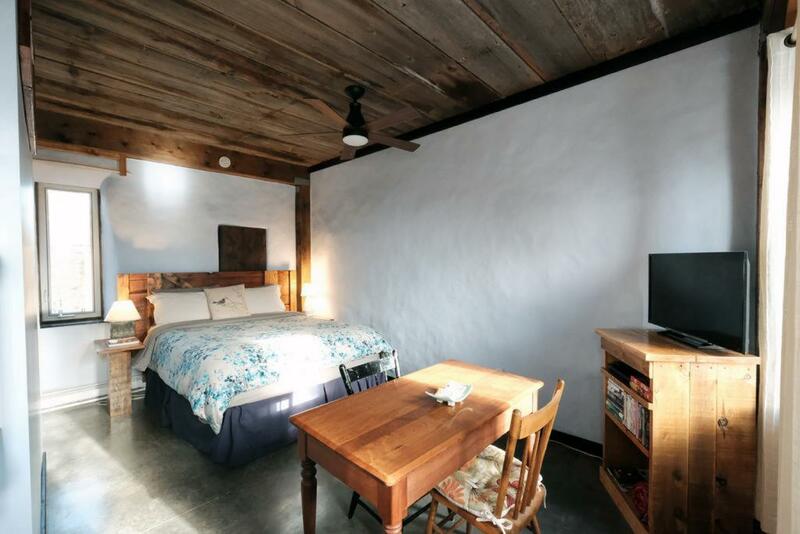 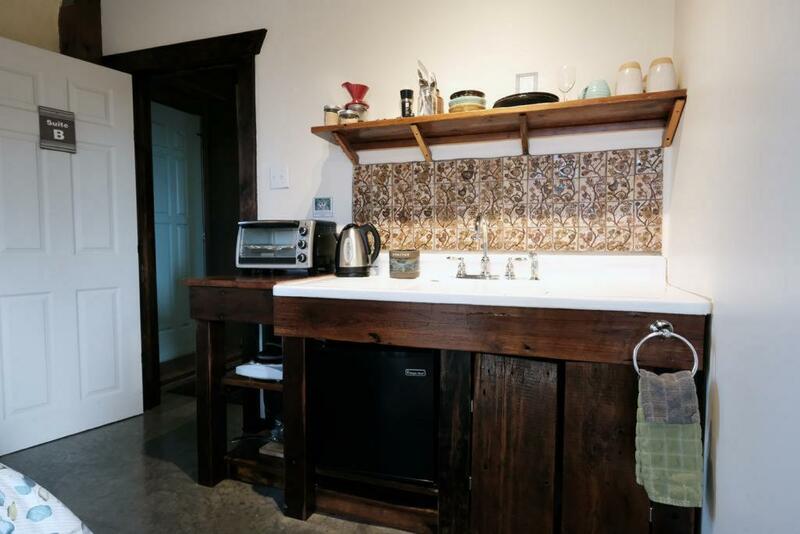 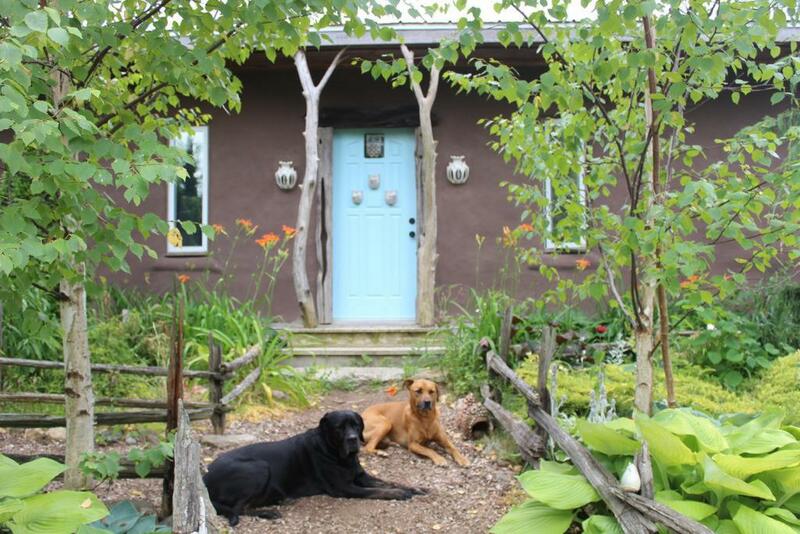 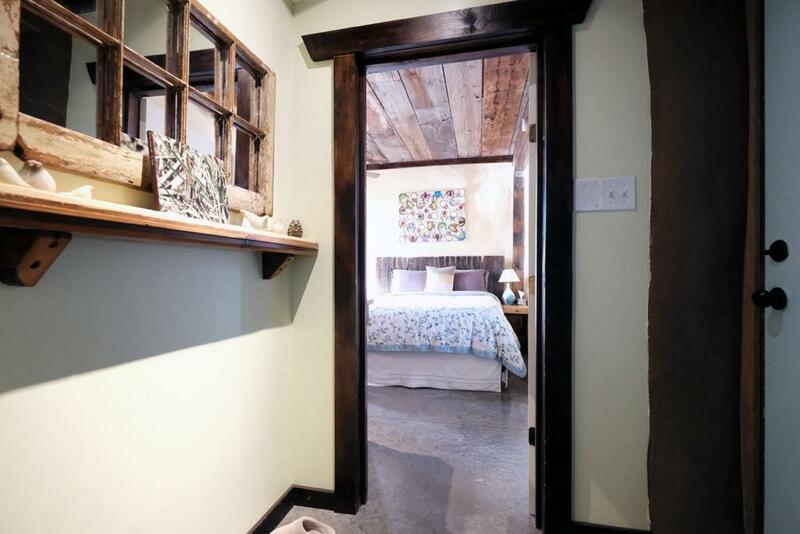 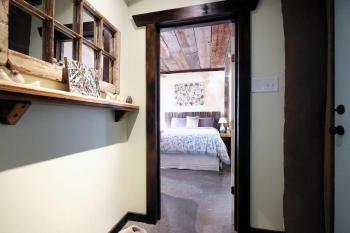 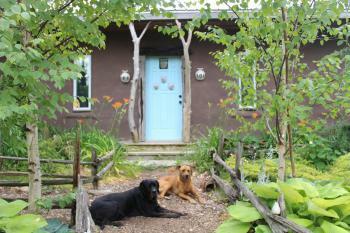 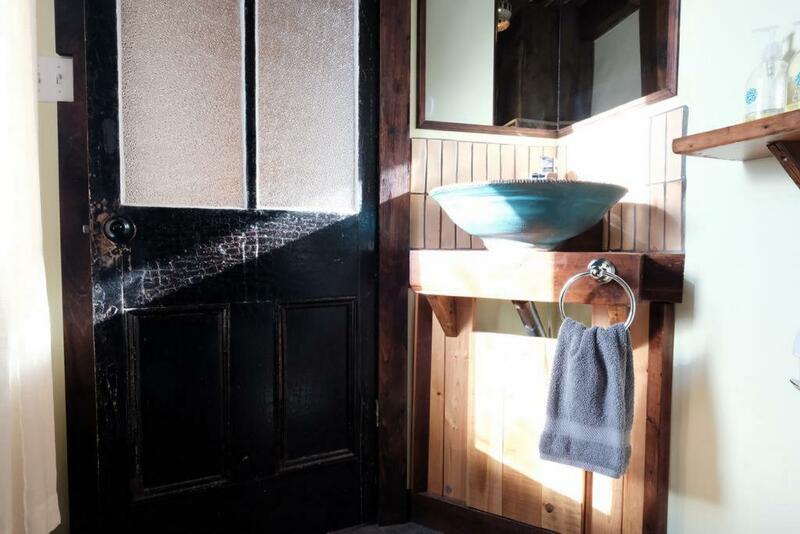 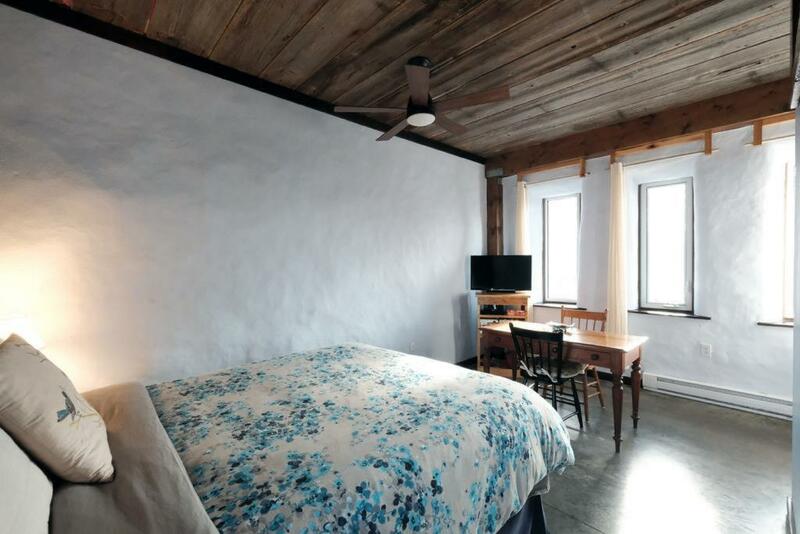 Like all of our suites, the construction of the building is straw bale with many handcrafted features. 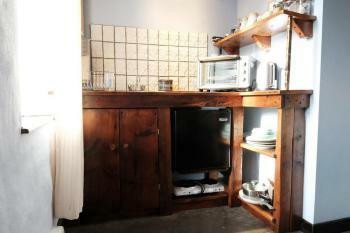 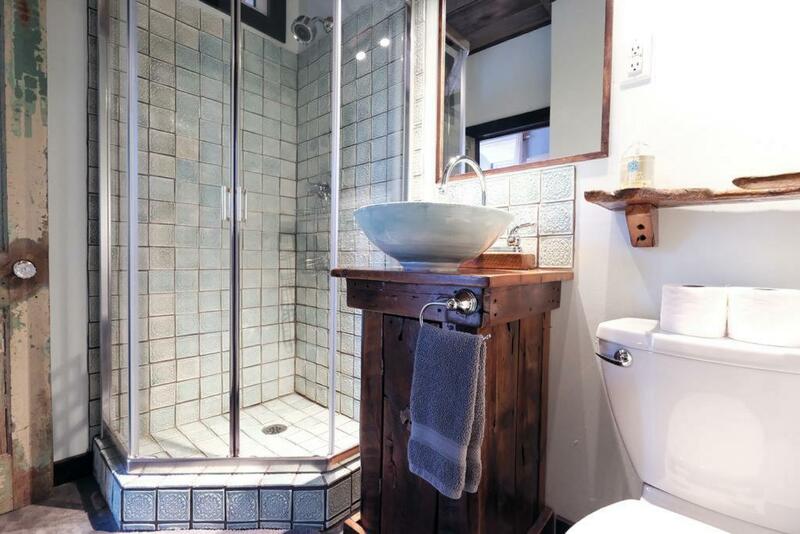 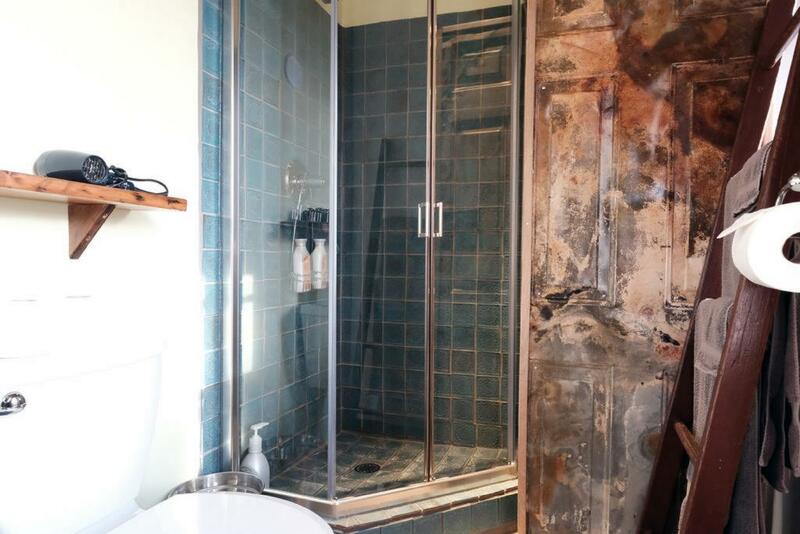 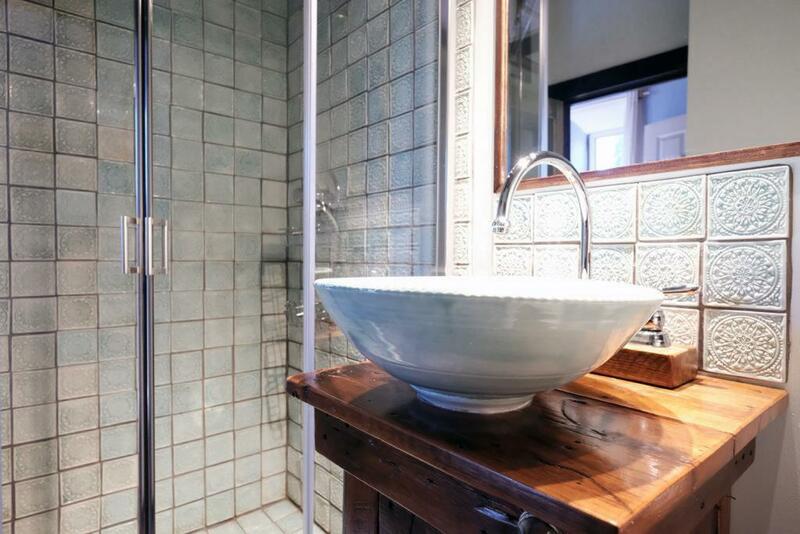 This suite has its own entrance, ensuite bathroom (shower only), kitchenette and dining table. 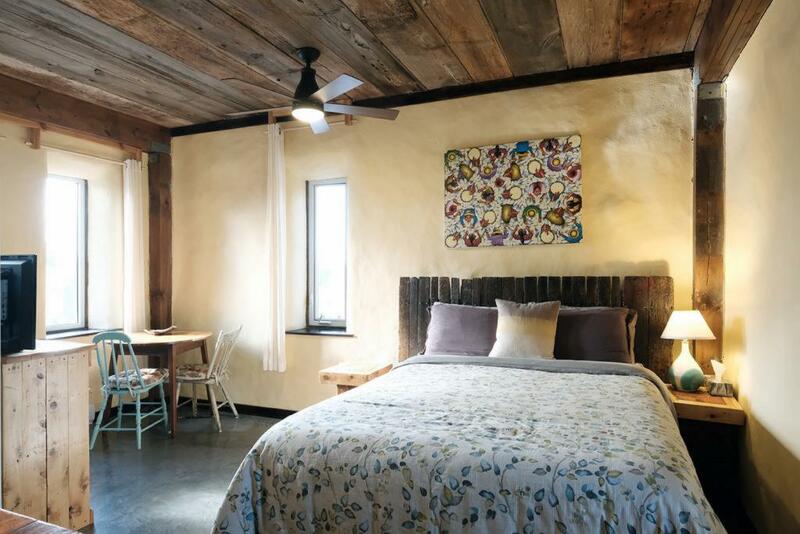 Like all of our suites, the construction of the building is straw bale with many handcrafted features. 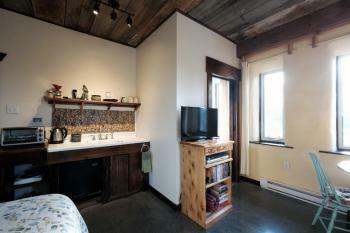 This suite has its own entrance, ensuite bathroom (shower only), kitchenette and dining table.